What’s new in OCTOPUZ V1.4? See for yourself! In this webinar we highlight the automatic updater and dive deep into the new welding interface and upgraded welding touch-sensing support. 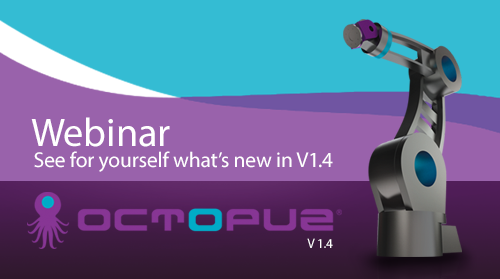 Behind the scenes, the latest version of OCTOPUZ has undergone revisions designed to optimize performance by installing a new software engine, updating the installer and adding an XML-based configuration utility. These changes boost the software’s versatility and efficiency, solidly positioning it as the ideal solution for any robotics challenge.